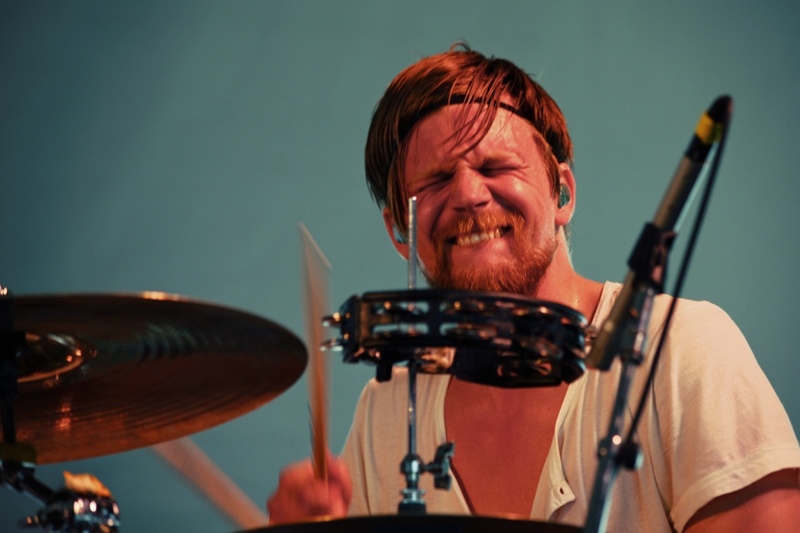 Arnar Rósenkranz Hilmarsson from Of Monsters and Men. Photo by Richard Kluver/grass clippings. The grass clippings Best Tattoos of the Newport Folk Festival contest drove more traffic to this site than any other post in history. What does that say about our writing? I don’t know. As promised, the winner will receive two free tacos from Taco Bell (not a sponsor, just a tasty award). And the taco goes to…Arnar Rósenkranz Hilmarsson from the Iceland-based folk pop group Of Monsters and Men. Congrats Arnar. I’m pretty sure there aren’t any Taco Bells in Reykjavík, but we’re sure you can hit one up on the next tour. In a brief chat with Arnar, we believe he said that the tat was of the Virgin Mary with his grandmother’s face. Honorable mention goes to Joe Fletcher’s Woody Guthrie pec. Joe, without the luxury of an international following like Arnar, was a close second. He gets a couple tacos too. It’s also worth noting that Trampled by Turtles frontman Dave Simonett’s Minnesota tat beat Robert Ellis’s Texas tat. Didn’t expect Lonestar pride to be trumped by The Land of 10,000 Lakes. Thanks for all who participated and voted. See all contestants here. We’ll probably do this again next year, so ink on. oops i meant FLETCHER… sorry!hahaha poor tattoo artist, noone gets the name right….